(Newser) – The winners have been named. 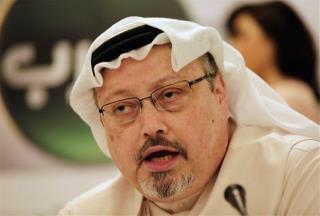 Ten finalists made it onto the shortlist for Time's Person of the Year, but it was the late journalist Jamal Khashoggi, and other journalists, who received the honor. Editor-in-Chief Edward Felsenthal made the announcement on the Today show, noting that "as we looked at the choices, it became clear that the manipulation and abuse of truth is really the common thread in so many of this year's major stories, from Russia to Riyadh to Silicon Valley. And so we chose to highlight four individuals and one group who have taken great risks in pursuit of greater truths." And who’s the journalist going to be to figure out what happened to Jamal. Since the Prince and Trump are vague with soap in their mouths. Can anyone disagree? If only other journalists were just as brave to expose truth on corrupt administrations. Granted, the American press are vocal on the corrupted Trump administration, they aren't nearly as vocal as Khashoggi was on the Arabs.